This article is about rewards from DLC game packs. For the discontinued subscription rewards, see Loyalty Program. Loyalty Rewards are given to players with access to certain DLC game packs. They can be earned through the achievements system by entering a specific DLC area. The rewards are available to players who purchase the DLC permanently through the Crown Store and to players who have access through an ESO Plus subscription. If obtained through ESO Plus, the rewards remain available for use even after your subscription lapses. Unlike DLC Collector's Edition bundles, the rewards are not timed and can be obtained at any point. The Imperial City DLC has no associated loyalty reward. 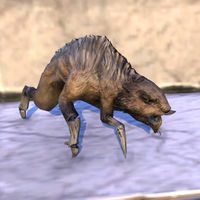 An Echalette pet can be obtained by entering the city of Orsinium in the Orsinium DLC. 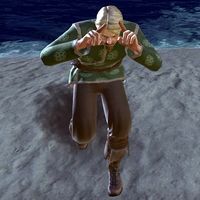 It was added retroactively when Thieves Guild was released. 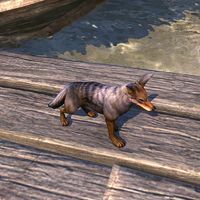 A Jackal pet can be obtained by entering the city of Abah's Landing in the Thieves Guild DLC. The Assassin Personality can be obtained by entering the Gold Coast in the Dark Brotherhood DLC. The Heroic Personality can be obtained by entering either Cradle of Shadows or Ruins of Mazzatun as part of the Shadows of the Hist DLC. The Bull Horns Emote can be obtained by entering either Bloodroot Forge or Falkreath Hold as part of the Horns of the Reach DLC. 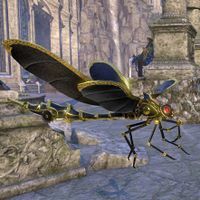 A Scintillant Dovah-Fly pet can be obtained by entering the Brass Fortress in the Clockwork City DLC. 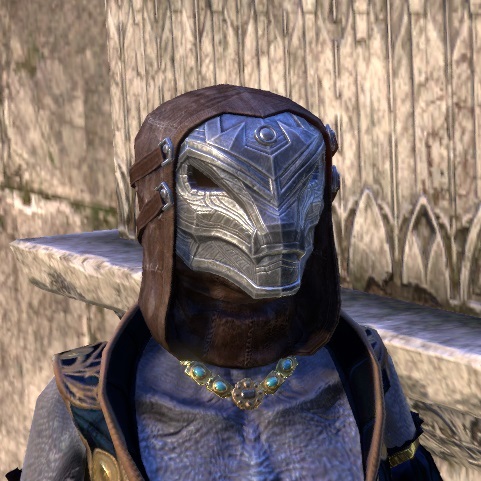 The Renegade Dragon Priest Mask hat can be obtained by entering either Fang Lair or Scalecaller Peak as part of the Dragon Bones DLC. The Werewolf Hunter hat can be obtained by entering either Moon Hunter Keep or the March of Sacrifices as part of the Wolfhunter DLC. A Gift from Orsinium 5 Come visit the Orcs' newly rebuilt capital city: Orsinium! Spoils of Abah's Landing 5 Travel to the notorious free port of Abah's Landing! Gold Coast Tourist 5 Visit the Gold Coast and take in the local scenery. Horns of the Reach Explorer 5 Enter either Falkreath Hold or Bloodroot Forge for the first time. Treasure of the Brass Fortress 5 Travel to the Brass Fortress in Clockwork City. This page was last modified on 17 January 2019, at 13:53.